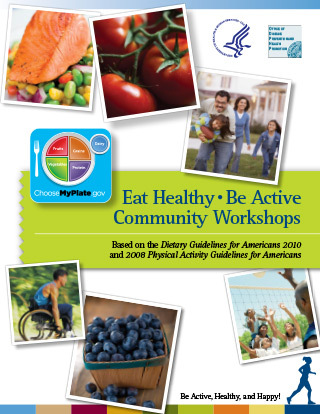 Allegany County New York Eat Healthy Be Active Community Workshops - Ardent Solutions, Inc.
Be Eat Healthy, Be Active community workshops were developed based on the Dietary Guidelines for Americans, 2010 and the 2008 Physical Activity Guidelines for Americans. ​Each provides science-based advice to promote health and reduce obesity and risk for major chronic diseases. Together, these two important publications provide guidance on the importance of being physically active and selecting nutritious foods for living a long and healthy life. Ardent Solutions is pleased to offer this curriculum as a six-week, 1-hour series or as independent workshops based on our audiences' needs and availability. Check back frequently for our community-based workshop schedule.